Upon our return from California, we pulled the motorhome out of storage, said goodbye for now to our Tennessee family and headed north to the Kenlake Resort State Park campground. This park is located on the Kentucky Lake about 15 miles from my hometown of Murray, Kentucky. This gave us the opportunity to visit more family, including my Uncle Jackie Cooper. 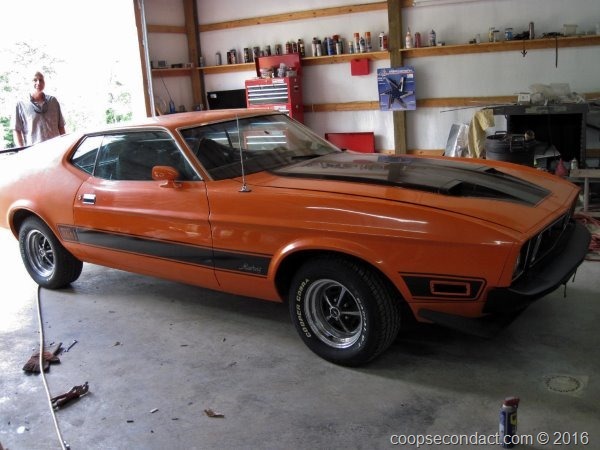 Jackie has a lifelong talent and passion for repairing and restoring cars. Some of the notable vehicles which he has recently brought back to near original condition are a 1959 Cadillac, 1972 Mustang Mach I and a 1964 Chevrolet Impala. All are quite beautiful automobiles. We had a nice visit with Jackie and his family, his son Shawn, his daughter Jeanette and her children, Jennifer and Christopher. Her other son Robert is currently serving in the Marine Corps. My sister Cynthia and her husband Tanny live near Murray so we had the opportunity to see them. Their daughter Effie, her husband Michael and their sons Noah and Gavin live nearby as well. Our timing allowed us to attend a special high school graduation. 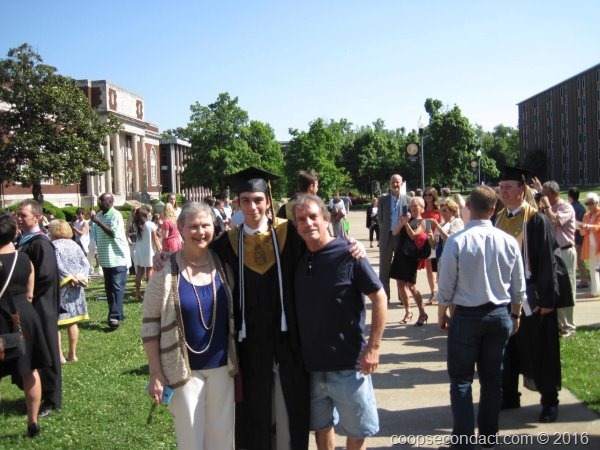 My grand nephew Noah graduated from Murray High School on Sunday, May 22nd. He will work in his father’s business, DEVsource, during this summer and prepare to enter Murray State University in the fall to pursue a degree in Computer Science.